Typically, we are referring to Google, but these could be the SERPs for any search engine. As described in the previous page, search terms are what people type into Search Engines, when they hit the search button, this delivers results. Each of the results in the above screenshot is referred to as a ‘listing’ or ‘result’. There are different types of listings and even more sub types, we cover each of these in the next few pages of this guide. 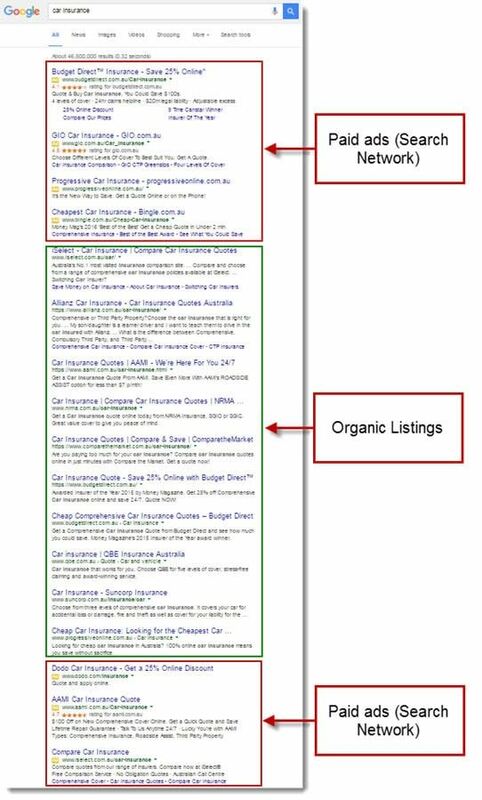 The SERPs are not exclusively to do with SEO, in fact a large chunk of them have nothing to do with SEO. < Previous Step 1.2: Why is SEO Important?